Following murmurings late last year of a new Flying Lotus studio album being in the works, it's been revealed that the experimental beat prince's latest long-player is now due in the fall. Titled You're Dead!, it drops in full on October 7 via Warp. A press release for the platter, which follows 2012's Until the Quiet Comes, didn't confirm much beyond the album title and release date. The artist's homepage also features a gruesome animated gif showcasing a series of gory figures and skeletons being sucked up into a vortex of sorts. It's unclear at the moment if this is the album cover artwork. Despite the general lack of info, FlyLo had previously revealed that the upcoming album would feature bars from his rap alter ego Captain Murphy, noting that "It's a flylo album this time but the captain is all over it." 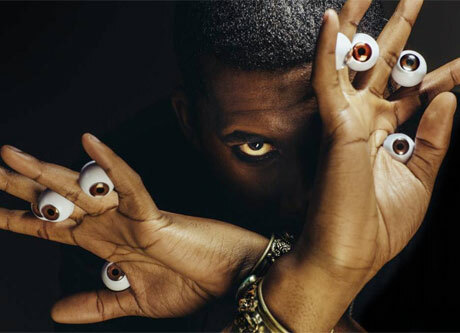 While tracklisting details have not yet been revealed, Flying Lotus did deliver a batch of forthcoming North American tour dates. Following a few summer performances, the producer's fall tour kicks off early October in Orlando, FL, with Canadian dates set to take place in Montreal, Toronto and Vancouver. You'll find the show info down below.